When we think of holidaying in Europe, we might picture strolling the elegant boulevards of Paris, exploring the ancient wonders of Rome or admiring the gabled facades of Amsterdam. But there are so many less-visited European cities that offer rich historical, cultural and artistic experiences for seniors. Here are three cities we think are deserving of a closer look. Bilbao claimed the title of European City of the Year at the 2018 Urbanism Awards and is the capital of the northern Basque country. The industrial port has undergone an urban transformation over the past few decades and is fast becoming the foodie centre of Spain. The city is an architectural and cultural delight with modern skyscrapers rising along the Ría de Bilbao. 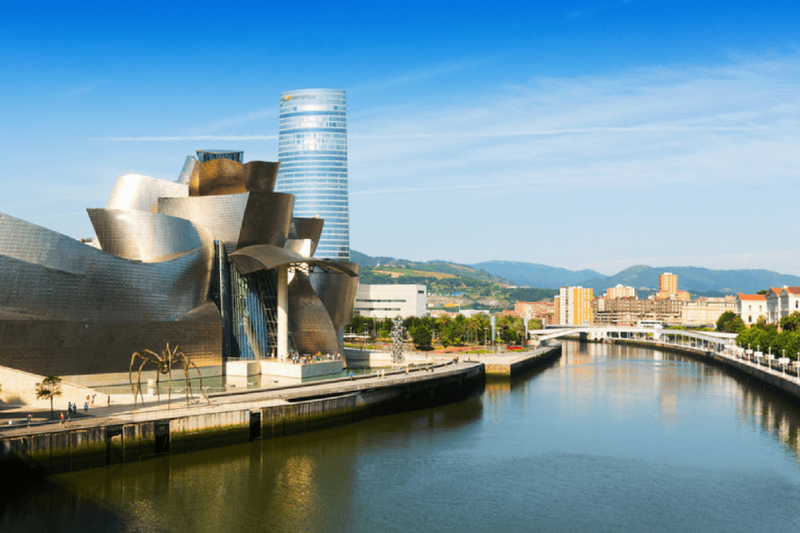 It was the distinctive titanium-clad Guggenheim Museum Bilbao, designed by renown architect Frank Gehry, that put this city on the map in 1997 and today it remains one of the city’s most striking structures. It’s not a place without natural beauty too. Stroll the Parque de Doña Casilda de Iturrizar to take in tree-lined paths and waterscapes. Catch the funicular to Mount Artxanda for picture-worthy panoramic views of the city or head north to Getxo to catch spectacular coastline views of the Bay of Biscay. Getxo is also where you’ll find the Vizcaya Bridge, an engineering marvel declared a World Heritage Site by UNESCO in 2006. Back in town, sample fresh local fare or immerse yourself in culinary excellence at one of more than 30 Michelin-star rated restaurants. You could also visit one of the many modern art galleries and museums or take a leisurely afternoon cruise along the river. The Basque people are serious about their food and wine. Sample local wine like the Basque lightly sparkling white wine Txakoli, cheeses made in the region and spend a night indulging in the famous Basque version of tapas, Pinxos. The capital of Hungary, Budapest’s rich history dates back to the Stone Age and is a place often overlooked by travellers. The river Danube splits the UNESCO World Heritage Site city in two: Buda and Pest. 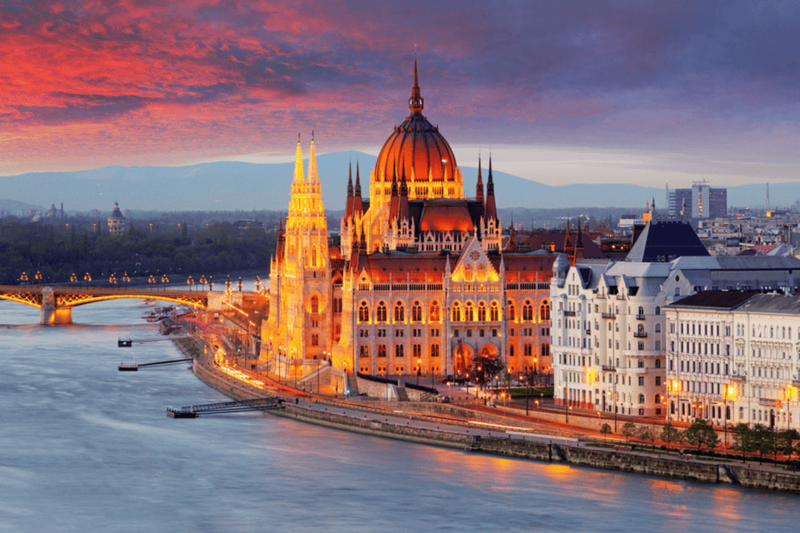 Serving as a key battleground over the centuries including the Romans, King Atilla the Hun and the Monguls, there is much to discover and experience in Budapest, its people, and modern European history. In more modern times, Budapest spent 150 years under Ottoman rule and later, when the two sides of Buda and Pest united, was a co-capital of the great Austro-Hungarian Empire, which was prosperous until World War I. Visit Castle Hill, the magnificent Parliament House and the grand St. Stephen’s Basilica. At Castle of Vajdahunyad, you’ll also find Europe’s biggest museum of agriculture. Walk the 2.3km stretch of Andrássy Avenue and take in the architecture before arriving at City Park and Heroes’ Square (itself a World Heritage Site since 2002). Soak in the healing natural mineral waters of the Széchenyi Baths, one of Budapest’s 80 geothermal springs. All facilities are accessible and include a variety of baths, saunas and steam rooms plus massage treatments if you fancy some pampering. The Northern Lights beckon at this major outpost hub above the Arctic Circle. 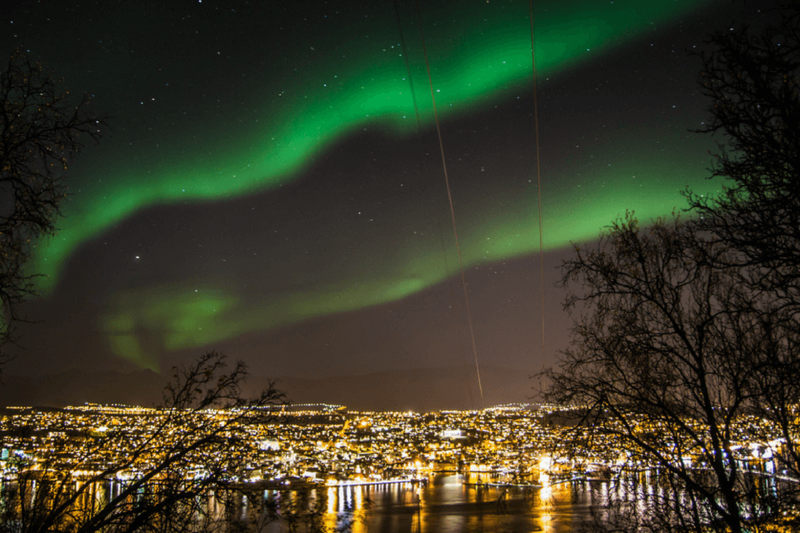 A blend of nature and culture, Tromsø is one of the best places to see the spectacular aurora borealis, claims the world’s northernmost botanical gardens and hosts the Tromsø International Film and Northern Light Festivals. Despite its remoteness, Tromsø boasts a great café and restaurant scene with coffee as good as any you might find in the best cafes of New York or Melbourne. Visit the Arctic Cathedral, Polaria – the arctic aquarium – and the Public Library for some interesting architecture. The Polar Museum offers a deep insight into the history of the region. At night, look to the sky for a chance to see the dancing Northern Lights. Be aware, weather is especially variable during winter and cloud cover may make your chase for the Northern Lights quite difficult – but not to worry, most tour companies will drive you as far as Finland to find a clear patch of sky! For the adventurous, try a guided dog sled ride through the snowy landscape on the outskirts of town. You have the option of steering and “mushing” your own team of well-trained huskies or handing the reigns to a driver to do the hard work while you sit back and take in the scenery speeding by. ^Please note, if you plan on taking part in a winter sport on your trip, and you want to be covered, you must add the Winter Sports Option for an additional premium when you buy your policy and it must be listed on your certificate of insurance. This option can be added to the Comprehensive, Domestic and AFT plans (but not our Basic plan). Please see pages 22- 24 & 69-70 of the PDS. *Terms, conditions, limitations and exclusions apply. Before making a decision about this insurance please consider the relevant Product Disclosure Statement available on 1300 1300 50.